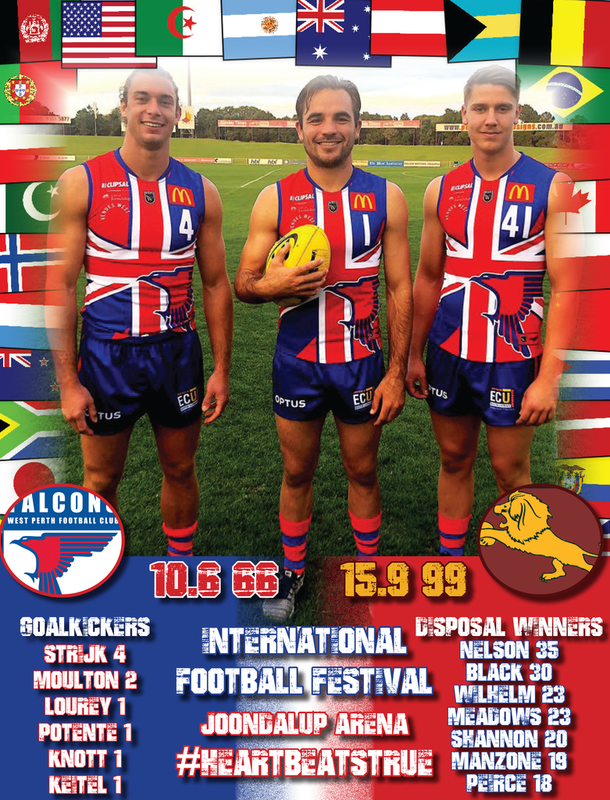 WEST Perth hosted yet another International Football Festival that drew a big crowd and was a tremendous success at Joondalup Arena on Saturday but the Falcons couldn’t quite hand Subiaco its first loss of 2018. An impressive crowd of 5602 turned out for the now annual International Football Festival with West Perth hosting Subiaco at Joondalup Arena and they went on to see a tremendous WAFL contest as well between two in-form teams. West Perth made a good start against the undefeated Subiaco to lead by 11 points during the first quarter. But the Lions managed to kick five of the next six goals of the game to end up leading by 13 points at half-time. The Lions then finished the third quarter strongly with the last three goals heading into three quarter-time to take control of the contest and go on to record the 15.9 (99) to 10.6 (66). It might have been an 11 straight win this season for Subiaco and it might have also been the Lions' sixth straight win against West Perth, but the Falcons put up a good fight for the second time in 2018 against them. 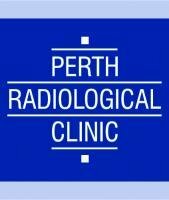 West Perth remains the only team to have not been blown away for Subiaco this season with the two losses coming at a combined 54 points while every other team has lost to the Lions by a minimum of 40 points. Subiaco improved to a perfect 11-0 record with the win but West Perth remains solid in third position at 7-5 despite the loss. Andrew Strijk continued his superb form deep in the forward-line for West Perth with the 218-game veteran kicking another four goals from 17 possessions and nine marks. He's now kicked 21 goals in the last four matches he's played in. 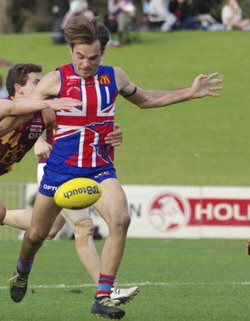 Tyson Moulton also came back into the West Perth league line-up and kicked two goals from 14 disposals and five inside-50 entries. Steve Potente also worked hard for 17 possessions, seven marks, five inside-50 entries and a goal. 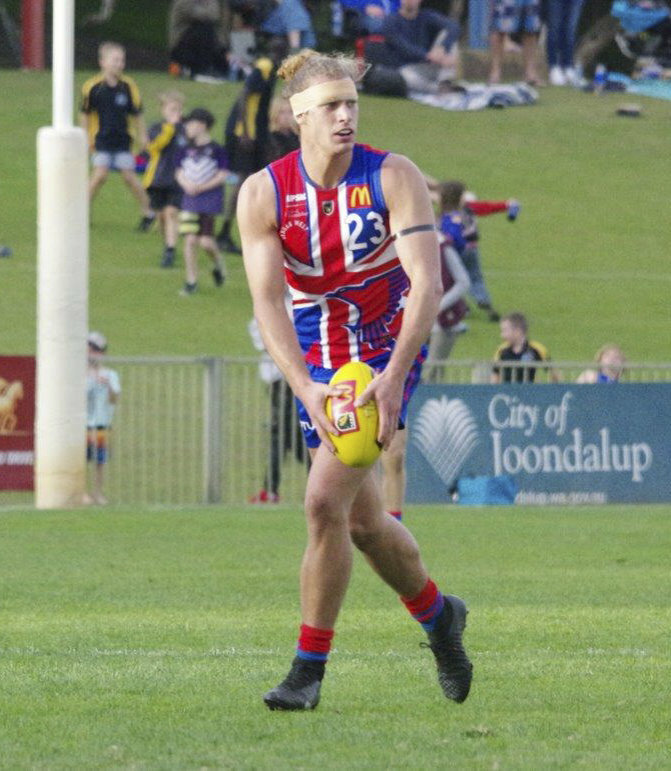 Triple fairest and best winner Shane Nelson had another impressive day in the midfield for West Perth with 35 possessions, 10 marks and four tackles. Captain Aaron Black also collected 30 disposals, eight marks and five tackles while Blake Wilhelm finished with 23 possessions (five tackles), Luke Meadows 23 (five tackles) Kris Shannon 20 (six marks), Trent Manzone 19 (seven marks) and Mitch Peirce 18 (eight tackles). Chris Keunen battled hard in the ruck too in his 199th appearance for West Perth with 13 disposals, seven marks, four tackles and 30 hit outs. 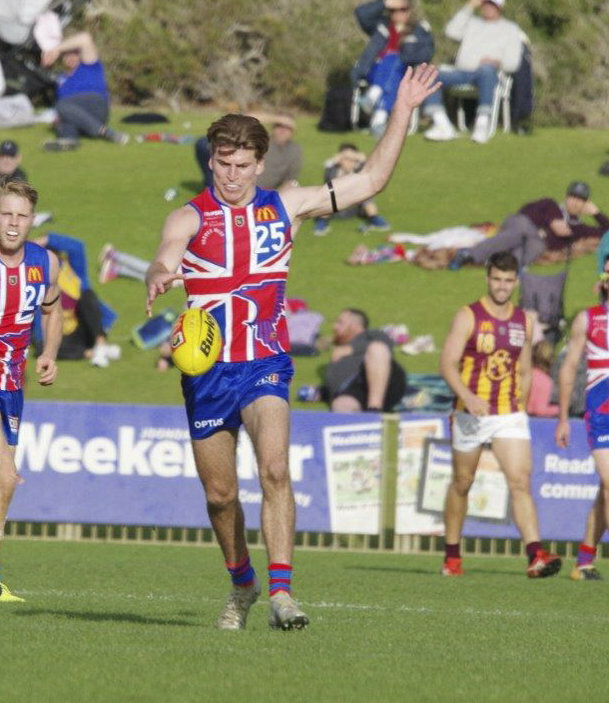 A big crowd was on hand for the annual International Football Festival and it was Subiaco got the game's first goal courtesy of Lachlan Delahunty. West Perth responded with the next three through Steve Potente, Andrew Strijk and Tyson Moulton, and the game was on. The Lions did kick the last goal of the opening term through Braden Fimmano but West Perth still led the league-leaders by five points at the first change. It became the Ryan Borchet show for Subiaco in the third quarter with the three-game 21-year-old kicking three of the Lions' four goals. 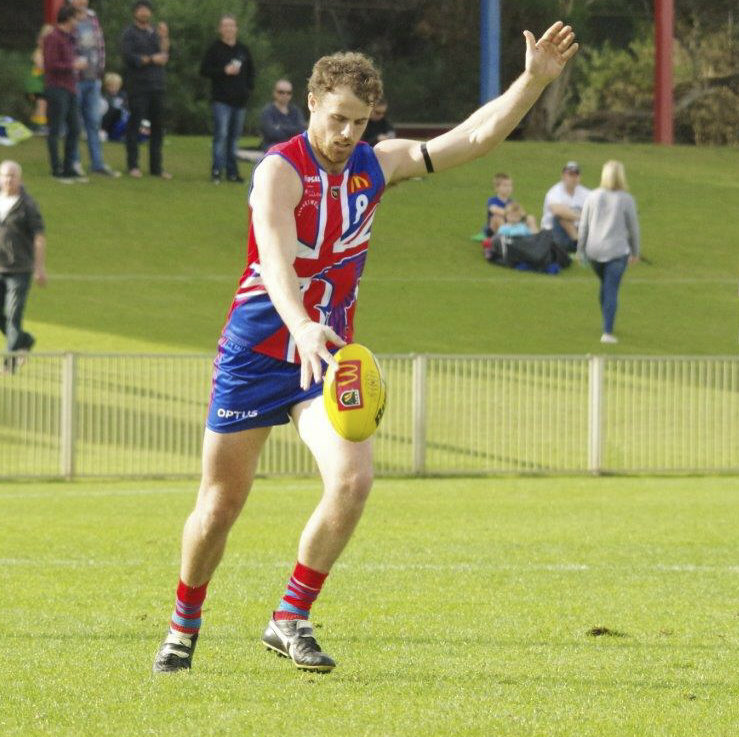 West Perth managed just one for the term in response from Michael Lourey and Subiaco had opened a 13-point advantage at the long break. West Perth did close back to within eight points to start the second half with Moulton's second major of the afternoon. It was then goal for goal until the Lions finished the quarter with the last three goals to Ben Sokol, Josh Deluca and Delahunty (three for the term) to be 32 points to the good by three quarter-time. 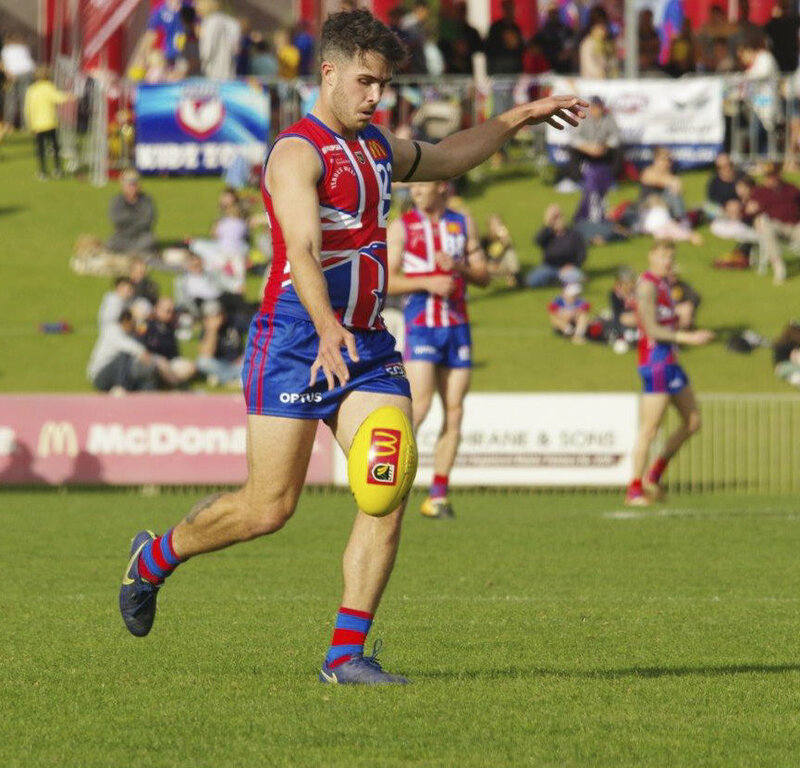 West Perth did manage three goals in the last quarter, including Strijk booting his fourth, but Borchet managed his fifth as Subiaco also kicked three for the term to run out 33-point victors. 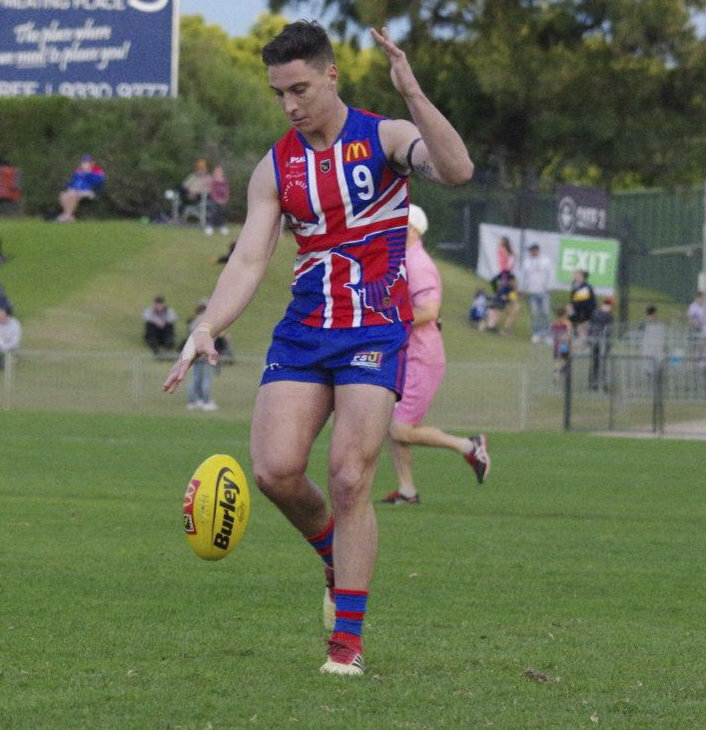 West Perth's reserves came away with a good 11.15 (81) to 8.11 (59) victory over Subiaco at Joondalup Arena on Saturday to improve to second position on the ladder. Subiaco started strongly kicking four goals to one in the first quarter before the Falcons responded with four goals to three in the second term to get back within two goals at half-time. West Perth then took over in the second half with five goals to nil in the third stanza and ending up winning by 22 points. Liam Tedesco, Dylan Yem and Aidan Lynch kicked two goals apiece for West Perth. Dean Munns racked up 29 possessions for the Falcons, Aidan Lynch 26, Yem 23, Conal Lynch 22, Rudy Riddoch 22, Kael Coleman 19 and Matt Guadagnin 18. 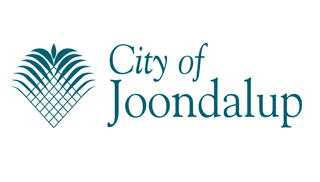 The round of colts action began at Joondalup Arena on Friday night with West Perth hosting Subiaco with the Falcons fighting for a finals position and the Lions for top spot. Subiaco made a strong start kicking the only three goals of the first quarter on Friday night at the Joondalup venue and then with another three goals to two in the second term they went on to lead by 26 points at half-time. It was another four goals to one in the third quarter from the Lions and then then four more goals to three in the last as they ran out 14.14 (98) to 6.8 (44) winners against the Falcons. Noah Clune kicked two goals for West Perth with Alec Johnson, Daniel Rowe, Lachlan Scurria and Logan Foley kicking one apiece. Nathan Murray finished the evening with 28 possessions for the Falcons while Ben Johnson gathered 26 disposals, Tyron Hindmarsh 24, Clune 18, Rowe 16, Alec Johnson 15 and Tom O'Donnell 14. West Perth will hit the road again in Round 14 of the WAFL season to take on the bottom placed East Fremantle at East Fremantle Oval in what will be a celebration of premiership-winning ruckman Chris Keunen's 200th game. 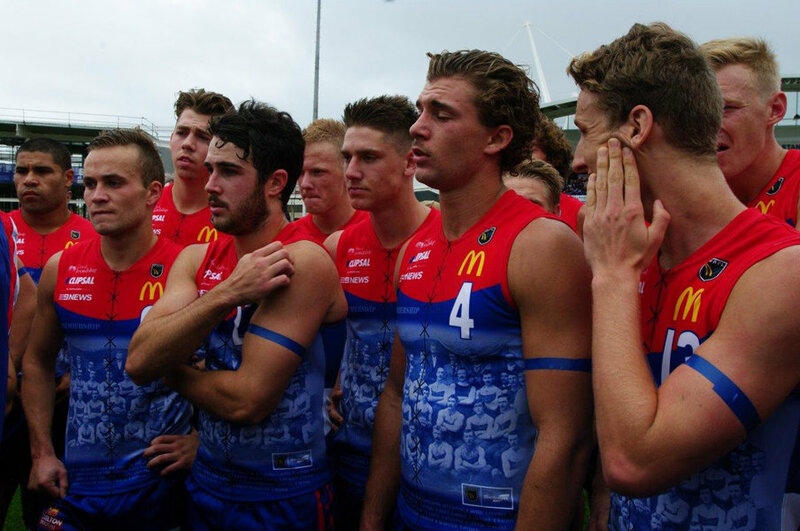 WEST PERTH – Goals: Strijk 4; Moulton 2; Lourey, Potente, Knott, Keitel. Best: Nelson, Strijk, Black, Peirce, Wilhelm, Meadows, Potente. SUBIACO – Goals: Borchet, Delahunty 5; Powell, Deluca, Sokol, Clarke, Fimmano. Best: Delahunty, Deluca, Phelan, Clarke, Borchet, Horsley, Kennedy, Kitchin.